So two years ago I tried to do a Christmas countdown, the 12 Posts of Christmas, but I discovered that it is really difficult as you get involved in Christmas activities. So last year I decided to make it easier on myself and did a singular post listing 25 of my favorite films that were either classified as Christmas movies or had a Christmas scene in it. Since it worked so great last year, I decided why not do it again? So here are 25 more films of Christmas! (Once again these aren’t my my top favorite 25, but randomly picked and then rearranged them in the order of how I love them. 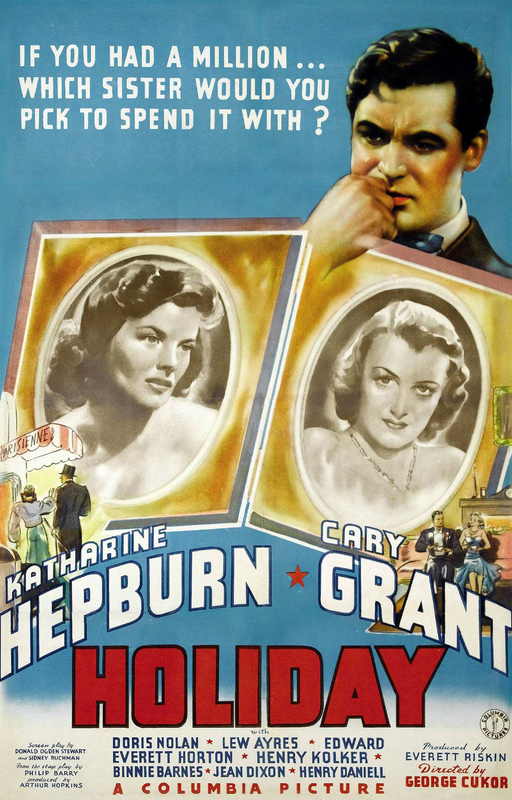 Holiday (1938) is a remake of the 1930 film. 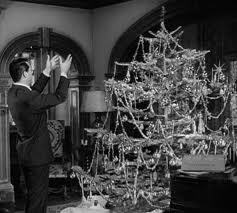 In it Johnny Case (Cary Grant), a self-made man, is heading to his fiancé Julia Seton’s house for the holidays. While on the surface the two appreared perfect for each other, as Johnny spends more time at the Seton household he finds himself having more in common with Julia’s younger sister, Linda (Katherine Hepburn). Johnny now finds himself in a dilemma, should he honor the commitment he made to Julia? Or should he try to find love with another? Why it’s Great: Hepburn and Grant made four films together, and anytime you have these two paired up you have pure gold. Grant is his attractive, charming, and at times comical self. Hepburn is the silly, comedic, oddball, and modern woman that she always does great at. A fun film. Plus those scenes of Grant tumbling? Priceless. The Polar Express is based on the short book of the same name. In the 1950s, a little boy, no longer believes in Santa Claus. On Christmas Eve, he hears something outside and goes aboard the Polar Express, the train that heads right up to the North Pole and Santa’s home. He makes new friends on the train, helps control the train, meets a ghost hobo who tries to teach him morals, and ends up in the North Pole coming face to face with Santa Claus. Why it’s Great: This is a cute kid’s movie. Tom Hanks is pretty amazing at how he plays almost every character in the film. The kids are cute, especially the geeky, know-it-all tattletale. He makes me laugh. It has a good message of faith, believing, leading, etc. It also has a couple great songs: The Polar Express and When Christmas Comes to Town. It does have a few problems though. Mainly it suffers from the same issues all small picture book film adaptions face, extra content to fill the time block. There are a lot of unnecessary songs, characters, and scenes; that if they had been culled would have resulted in a stronger film. But on the whole it is a cute, family, Christmas film. The sequel to Home Alone (see #2 on the list). 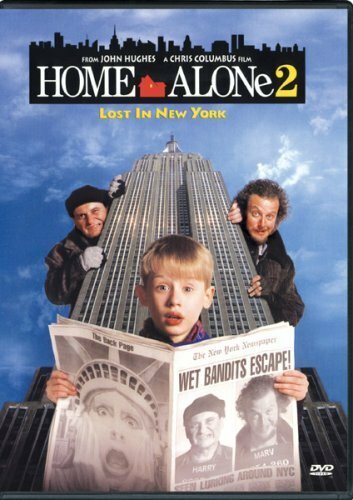 Home Alone 2 has Kevin McCallister once again finding himself spending Christmas on his own, but this time he’s in New York! How did this happen? Well this year instead of going to France, the McCallister clan is heading to Florida. Once again they find themselves running late to the airport (but this time being sure they have Kevin) and have to run to catch their flight. Kevin stops for a moment to get batteries out of his dad’s bag and accidentally follows the wrong man onto a plane to New York City. He starts living it large at the Plaza and using all his dad’s credit cards and cash (as he has his bag). Everything goes well, until he runs into the two thieves he harassed the year before and sent to prison. They come after him, but luckily he has rigged his uncle’s townhouse into one giant trap. Why it’s Great: I have to say how he gets alone again was done really clever. The scenes of him just spending the dough and buying pizza, ice-cream, going on huge toy shopping trips, etc is fantastic. That was all the things that kids wished they could be able to do. Tim Curry plays the hotel manager who notices the lack of an adult and is awesome in being evil and trying to trip Kevin up. Unfortunately, the second half the film falls a little flat. I mean what are the odds of the thieves running into Kevin in New York City? There are a gajillion people who live there. Also the traps aren’t as clever as in the original film. 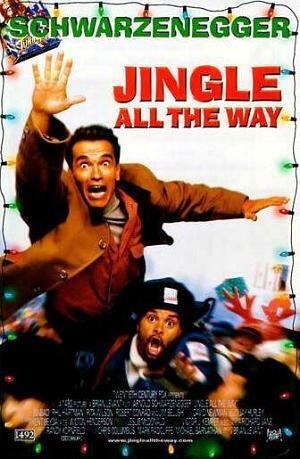 It wasn’t nearly as great as the original, but still one fun holiday film. 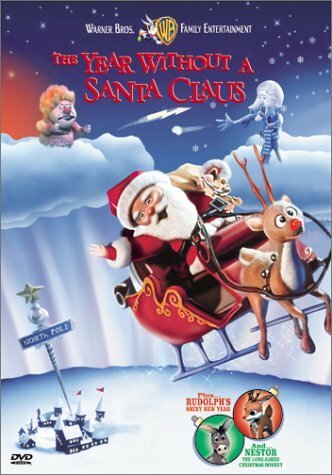 One Christmas a baby boy accidentally gets on to Santa Claus’ sled and is transported to the North Pole. One of the elves adopts him and raises him as his own child, naming him Buddy. One day, Buddy overhears some elves mention he is a human. He goes to his elf father and discovers the story of his adoption. They tell him who is real father is, and Buddy travels to New York City to meet him. When he firsts meets his father Walter Hobbs (James Caan), Walter doesn’t believe Buddy’s story to be true. After a DNA test confirms it, Buddy is introduced to the family. Buddy befriends his stepmother, stepbrother, and makes new friends. However, he doesn’t fit in well with “humans” and after an argument with his dad, decides to return to the North Pole. On his way he runs into Santa who is having trouble using his sleigh and magic as people don’t believe in him anymore. Now Buddy has a bigger problem to solve. How can he save Santa? Why it’s Great: Now let me say that I am not that big a fan of Will Ferrell. I only like a few of his films, and this is one of those. The story is silly, but the reason it works is that Ferrell goes all in to the character of Buddy. Unlike everyone I know, I do not watch it over and over, but I do think it is definitely worth checking out and viewing around the holidays. And I do have to agree that I am as crazy about Christmas as Buddy. Dr. Seuss’ beloved book finds itself heading to the big screen with Dr. Seuss’ How the Grinch Stole Christmas. Jim Carrey plays the Grinch, the beloved grump who hates the Whos and hates Christmas. He terrorizes Whoville, and all are afraid of him. Except one girl, Cindy Lou Who. Cindy Lou is eager to find out all she can about the Grinch and why he is the way he is. She discovers his sad childhood and decides making him the Holiday Cheermister will repair everything. When her idea has disastrous results, the Grinch decides to head down to Whoville and steal Christmas. Why it’s Great: Jim Carrey really is the only reason why the film is great. Like The Polar Express, it suffers from being stuffed with extra scenes, characters, and things not needed in order to fill the time block. 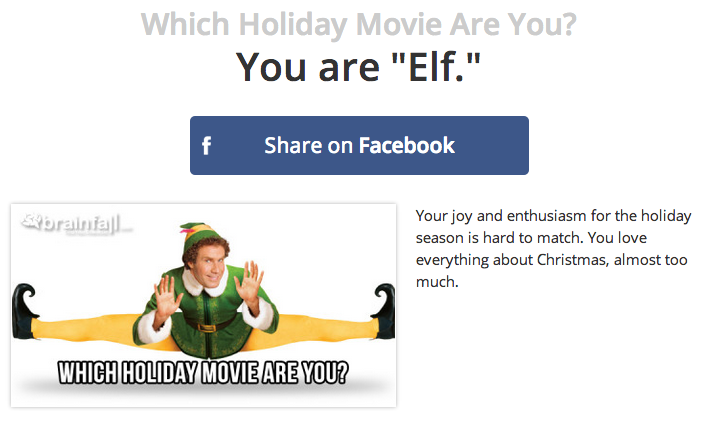 And I absolutely hate the song “Where Are You Christmas?” But as I said, Jim Carrey is a great Grinch. His makeup is amazing, I mean look at him! He’s looks just like the illustration. 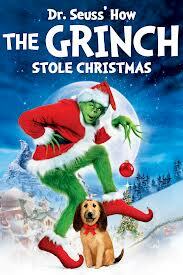 The backstory of why he is mean loses ground, but the film really picks up once he starts stealing Christmas. I love how they illustrate the song and copy the scenes from the original film. It’s worth watching the film to see that scene. It may not be as great as the Boris Karloff version, but it is still a fun Christmas film. 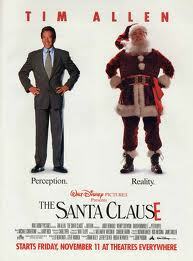 This is the sequel to The Santa Clause (see below #6). 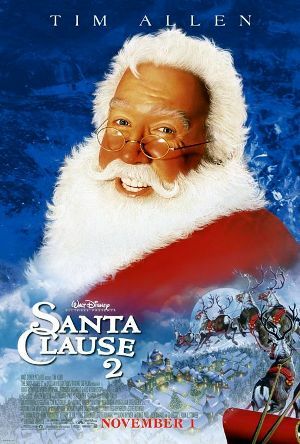 Eight years has passed since the original film and Scott Calvin, AKA Santa Claus, has just discovered that if he is to remain being Santa Claus he has to have a Mrs. Claus. Scott also discovers that Charlie has been having a lot of problems and and acting up. So the elves create a robot Santa to fill in for him, and Scott heads back home. He stays with his ex-wife’s family, trying to reach Charlie, and becoming an uncle figure to Charlie’s sister Lucy. When talking to Charlie’s principal he finds himself falling for her, but will she believe him and go with him back to the North Pole? Also, while Scott has been gone, his robo-Santa has become and evil dictator. Will Scott be able to stop him in time to save Christmas? Why it’s Great: I like how this film deals with real issues. Charlie is having problems as he misses his father, has the stress of having to lie about his dad’s job, etc. I loved how realistic it was as this are issues a boy who’s father has to be away for his job would actually deal with. I also enjoy the scenes of Scott and Principal Carol Newman. There were real dates and actually showed them falling in love over a period of time, it wasn’t instantaneous. And the Principal’s reaction to “I’m Santa” talk was completely real. Some scenes are definitely cheesy and silly, but I have to say this is one of the better Disney sequels and one great film to watch at Christmas. So this film is part of the Veggietales series. Veggietales was a series of Christian films that lasted 30 mins and told two stories that were either a retelling of a bible story or had a strong biblical message. And all the characters were fruits and veggies! 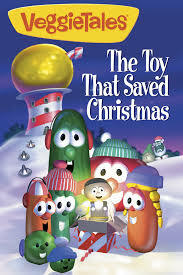 The Toy That Saved Christmas was the first Christmas Veggietale video and starts with a green onion, Grandpa George, telling his granddaughter Annie a Christmas story. In the Veggietown (or wherever they live), December is here which means CHRISTMAS!!! All the kids are excited. They see a commercial on TV for a new toy Buzz Saw Louie and everyone wants them. Besides having a saw, Louie talks and tells people that the true meaning of Christmas is getting stuff. This was planned by the toy factory owner as he wants to sell more toys. When more Louies are being made, something happens to one, and it comes to life. It starts to wonder if getting stuff is the true meaning of Christmas. Louie escapes from the factory and gets stuck in the snow. The next day Bob the tomato, Larry the cucumber, and Junior the asparagus all go sledding and come upon the toy. They also run into Grandpa George who tells them the true meaning of Christmas. After the hear the message they want to tell the world the good news? But how? They get the idea to use the factory owner’s equipment and make a commercial. Will their plan work? Will everyone get to know the true meaning of Christmas? Why it’s Great: It is an incredibly funny and adorable film. This is one that my family has to watch every year. Besides the comedy, adventure, and fun it also has a lot of great songs. One of my favorites is Can’t Believe It’s Christmas! as it truly captures being a kid excited about the holiday. And then there is the hilarious silly song Oh Santa!. If you don’t watch the film at least check out that song. The classic story of a rich girl who meets a boy from the wrong side of the tracks with one major difference-dogs! Lady is a cocker spaniel is a Christmas gift to “Darling” by her husband Jim “Dear”. She grows up in the household, becoming a real “Lady”. Everything changes when Darling gets pregnant. With a baby coming Lady is unsure of what her life will be like. The baby comes and Lady realizes that she loves him as much as her other masters. Things seem to be great until Darling and Jim Dear have to go away on business. Jim Dear’s Aunt Sarah comes to watch the baby, and brings along her two siamese cats that cause problems for Lady, and gets her a muzzle. Lady embarrassed, scared, and confused; runs away and straight into a mutt, Tramp, from the other side of town. He not only frees her, but the two have a romantic dinner, a moonlit walk in the park, etc. However, when the Tramp gets Lady to chase chickens, she winds up being sent to the dog pound. There she hears all about Tramp’s sordid past. She is freed from the pound but chained up outside by Aunt Sarah. The Tramp visits to apologize, but Lady won’t hear anything. Then a rat tries to get into the nursery. Will Lady be able to save the baby? 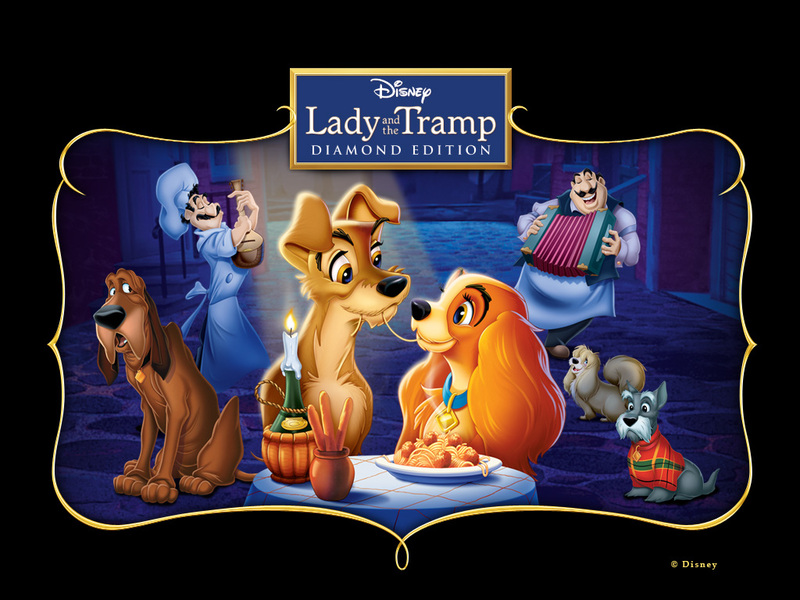 Will Lady and the Tramp get back together? Why it’s Great: It is an old story that has been done before, but the choice of dogs is great. I love how the dog thinks Jim Dear and Darling are their real names as that is only what she hears, and there are also some great dogisms. The We Are Siamese song is really catchy and the pasta scene is just adorable. This film actually has two Christmases in it; one when Lady is first introduced, and the second at the end of the film. Making this a great film to see round the holidays or any time of the year. This abcFamily film, part of the 25 Days ’til Christmas countdown, tells the story of A Christmas Carol in a completely new way. Jack Cameron is a modern day Scrooge. He caught his wife with another man at his daughter’s Christmas play. Not only is the marriage over, but so is his love for Christmas and Christmas spirit. At the Bureau of Yuletide Affairs (BYA) the company is reviewing which holiday grumps need a little Dickens spirit. He assigns Christmas Past (Leslie Jordan) and Present (Andrea Roth) to take care of him. Past has started to become disgruntled with life. Every year it is the same thing over and over again. So he decides to do something about it. 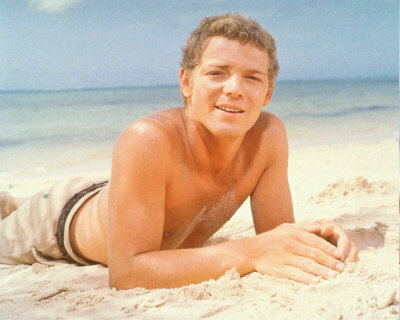 After taking Jack to his childhood in the ’60s he knocks him out and takes off. Present is then sent back to catch Past and help Jack find his Christmas spirit. As they travel through time Jack discovers a lot about himself and his family. When they reach the ’70s, they accidentally break their time machine and are desperate to find Past in order to get back to the future. Will they ever catch up to Christmas Past? Or are they doomed to stay in the ’70s? And more importantly, will they be able to save Jack’s love of Christmas? Why it’s Great: The twist on the classic is extremely hilarious, fun, and adorable. In fact, the film is almost a parody of all the films and TV episodes that rip of Dickens’ work. The characters are lovable as you have the sarcastic, unhappy, stick-in-a-rut Past that wants to relive the good times instead of just visiting. Then there is Jack, the average guy who gets pulled into this adventure and really starts having a great time. Then there is Present, who knows nothing about the past and has to educated by Jack. This is actually pretty adorable, as it awakens his love for different things as he explains why they are important or special. A truly great film, loosely based on one great book. 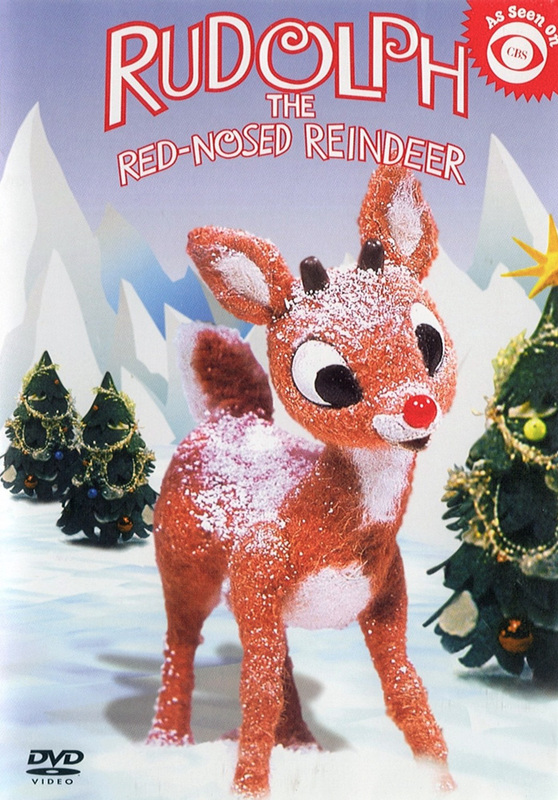 The story of Rudolph the Red-Nosed Reindeer started out as a short poem, then transformed into the hit song, and ultimately (like everything) found its way into film. Rudolph is the son of Santa’s flying Reindeer Donner. Everyone bullies him and doesn’t want him around because he has a blinking, red nose. Rudolph ends up not being able to deal with it and runs away, hoping to find a place for misfits. As he heads out, he runs into an elf named Hermy. Hermy is also a misfit as he doesn’t want to make toys, sing carols, or other elf-y things; he wants to be a dentist. As the two journey out they run into a miner named Yukon Cornelius, hunting for silver and gold, who joins up with them. They have to fight the Abominable Snow Monster, when running from him they hitch a ride on ice and end up on the Island of Misfit Toys. Rudolph, conscious that his nose almost got them attacked by Abominable, he takes off on his own. He later returns home to find that his family has been captured by the Abominable Snow Monster while searching for him. It’s up to the team to save them from the monster. Everything seems like it is going to be a great Christmas until the fog rolls in and Santa won’t be able to see where he is flying. That is until Rudolph steps up to the plate. Why it’s Great: My earliest memory of this cartoon was when I was three years old. My family was visiting my aunt’s house, and being kids, us cousins were running around everywhere. I ran smack into my cousin Sean, and began bawling. I was bruised, so I did have a reason to be sad, but I wouldn’t stop crying. I kept going and going, until my mom told me that I could watch Rudolph if I stopped crying. I stopped immediately. My favorite character as a kid actually wasn’t Rudolph. I loved Yukon as I thought he was hilarious and I loved Hermy as I too wanted to be a dentist (which everyone thought was weird). Watching it as an adult, I still love it. Happy Anniversary Rudolph! Here’s to another 50 years! It’s Christmas time at the Hundred Acre Woods and Christopher Robin is writing a letter to Santa Claus. As he is finishing the letter, asking for a sled big enough for him and a friend, he asks each one of his friends what they want for Christmas. Rabbit needs a new fly swatter; Tigger a snowshoe for his tail; Eeyore an umbrella to keep snow off his house; and Piglet asks for whatever Santa wants to give him. Christopher Robin sends his letter off into the wind and to Santa. The next day, Christmas Eve, Winnie-the-Pooh is drawing his Christmas tree on the wall when Piglet comes in and tells him that Pooh forgot to ask Santa for something. They chase after the letter, find it, and take it to Rabbit’s house to add on Pooh’s request for honey. As they are doing that everyone asks for an upgraded present: Rabbit a super bug sprayer, Tigger a special bouncing boot, and Eeyore a mobile home. They send the letter out, but when Pooh gets home a southern wind has sent the letter the same way. Pooh and Piglet don’t want Christmas ruined so they set out to fix everything. They try to create the gifts asked, suit up, and head out. Will their homemade gifts work? Will Christmas be ruined? Or will everything turn out just right? Why it’s Great: First of all it’s Winnie-the-Pooh. Secondly, the story is amazingly sweet. 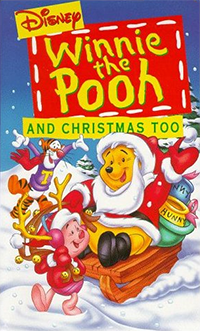 Once Pooh realizes that Christmas might be ruined, he tries to do everything in his power to make it right. A great story of friendship, love, and Christmas! Billy hates Christmas! For him it is always the worst day of the year and this one is no different. It starts off with him tripping, his uncle coming to visit and crashing into the garage, the pies burn, he misses his basketball shot, he loses the jellybean thousand dollar contest, messes up the Christmas pageant, and gets socked in the eye. To top it off, his uncle is bringing his monster conglomerate store, Value Mart to town, and will be putting all the smaller businesses, (including his dad’s store) out of business. Billy sarcastically wishes it was Christmas everyday, and gets his wish granted. At first he is in denial, then he makes it the most selfish Christmas, then tries to make it the most unselfish Christmas, but still remains stuck in the day. After he has been going through all those days, he finally stops thinking about himself, but tries to make it the best Christmas for his friends and family. Will it be the best? Will he finally get to December 26th? Will he be able to stop his uncle from bringing in his Value Mart? Why it’s Great: My sister and I loved this movie so much. 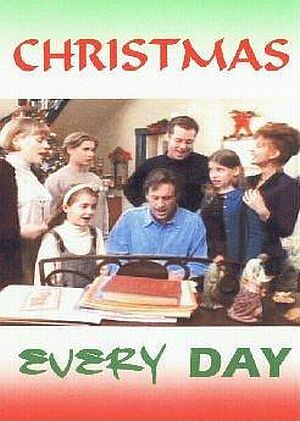 We would watch it every year on the 25 Days ’til Christmas until they stopped showing it. I just rewatched it a week ago and love it as much now as I did then. I thought Billy was pretty realistic in how he dealt with being stuck in Christmas, sort of the preteen version of Bill Murray in Groundhog’s Day. He gets over his Christmas hate much quicker than in Groundhog’s Day, but he is a kid and hasn’t been jaded as long. The best part, of course, is the fact how Billy learns from his past mistakes, and ultimately does create the best Christmas for himself and everyone. 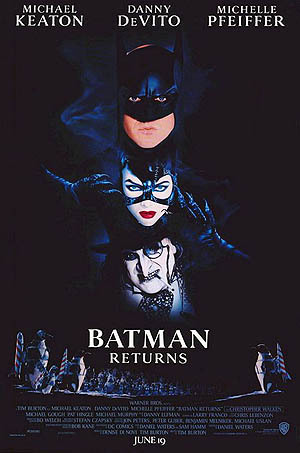 The Joker may be gone, but Batman is back to the big screen in his film Batman Returns. It’s Christmas time in Gotham, but even though it is supposed to be a time of good cheer, crime still abounds in the city. Oswald Cobblepot (Danny DeVito), who as a baby was thrown down the sewers by his rich parents because of his deformity only to be saved and raised by penguins, has returned 33 years later as the Penguin and leader of the Red Triangle Circus Gang. He kidnaps businessman, Max Shreck (played by Christopher Walken) and blackmails him about his dirty business dealings into making the Penguin a citizen of Gotham. Shreck agrees and promises to do even better, promising to make the Penguin mayor. Shreck has some plans he wants to put in motion, but knows the current mayor would not approve. Unfortunately, Shreck’s secretary, meek Selina Kyle (Michelle Pfeiffer) has discovered them. Shreck does the only thing he thinks he can do, he kills her by throwing her out the window. Unbeknownst to him, Selina is revived by nine cats and granted “9 lives.” She goes home having fully transformed in her personality, creating a black leather outfit, and becoming Catwoman. She returns to work for Shreck, planning on destroying him when he least expects it, and runs into Bruce Wayne. The two begin dating, while at night their alter egos begin fighting. The penguin and Catwoman team up to destroy Batman. They sully his reputation, but Batman is able to outwit the Penguin and disgrace him. Upset, the Penguin renounces humanity and kidnaps the first sons of all the wealthy families of Gotham during Shreck’s annual Christmas party. Bruce takes Selina as his date to the party and the two discover that they are Batman and Catwoman. What does this mean to their relationship? Will Batman be able to stop the Penguin? Will Catwoman get her revenge? Why it’s Great: So Christmas does play a role in this film as a little more than a backdrop. There is a line about mistletoe that is the key in discovering each other’s identities. When Batman and Catwoman are fighting the first time Batman says, “You know, mistletoe can be deadly if you eat it.” In which Catwoman replies, “But a kiss can be even deadlier if you mean it.” When Bruce and Selina are at the party, Selina tells Bruce ,“You know, mistletoe can be deadly if you eat it.” In which Bruce replies, “But a kiss can be even deadlier if you mean it.” But that’s not the reason why I like this film. First of all Michael Keaton has to be my favorite Batman, he just gets the stoic and serious, along with debonair and slightly fun side correct. I mean out of all the actors I think he captured the duality of Batman’s character the most. Then we have Michelle Pfeiffer who has been the best Catwoman to date. Morally ambiguous, vengeful, focused on her goals, but still having a heart of gold. No one could have played her better. Plus Christopher Walken as the bad guy? Perfect. The only thing I don’t like is that the Penguin was much sillier than I would have had him be. Danny DeVito did a great job and he looked great, but a lot of his lines and obsession with birds of all kinds were just a bit too silly. Otherwise, this is one great film to watch anytime. Santa Claus is sick and tired, and has decided that he does not want to do Christmas anymore. After all, no one believes in him anymore. 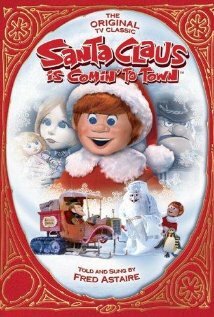 Mrs. Claus is determined to prove Santa wrong and sends out two elves, Jingle and Jangle. The two get into some scrapes and end up in Southtown, USA. Their mistakes cause Santa to come down and try and help out. The two elves and a small Southtown boy, Ignatius, end up getting the Mayor to agree to giving Santa a holiday, only if it snows in Southtown. The chance of that happening, -100%. The elves go to Snow Miser, but he it isn’t his territory and he can’t do it unless his stepbrother Heat Miser agrees. Heat Miser will only let them, IF he gets the North Pole. Something that Snow Miser will never give up. Will they be able to get the two to compromise? Will Santa get his holiday? Will we have a year without Santa Claus? Why it’s Great: This is a cute film that tries to revitalize the Christmas spirit. It has some great numbers like the Miser Brothers’ Song, I Believe in Santa Claus, I’ll Have a Blue Christmas, and Here Comes Santa Claus. A cute film that old and young will love. 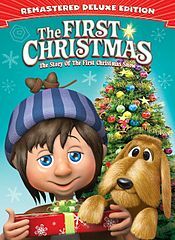 In The First Christmas: The Story of the First Christmas Snow, Lucas a shepherd boy is blinded by lightening. Nearby is the nunnery, who takes in the orphan boy. He befriends a girl Lisa, who helps him. Sister Theresa, one of the nuns, takes care of Lucas, even describing the snow that wishes would come. Lucas is chosen to be an angel in the play, and as it starts snowing, a Christmas miracle occurs. The snow falls in Lucas’ eyes and grant him back his sight. He remains with the nuns and the priest, finally having a family. Why it’s Great: This is a cute and cuddly Christmas film with great songs. You’ll enjoy this half hour production, along with their version of White Christmas and The First White Christmas. It is a great addition to your Christmas lineup. Sam Field is a millionaire who is trying to negotiate the biggest deal of his life with Javier Del Campo. The only problem, Del Campo only likes to do business with family-orientated people, and Sam is a confirmed bachelor. He hires a family to pretend to be his, but that doesn’t work out very well, and he is unsure of what to do. Enter Kathleen, single mother and worker at Sam’s plant. She is trying to save up money to buy a house, but so far does not have as much as she needs. A chance meeting, winds up with Kathleen and her daughter Zooey pretending to be his family for a few days, which expands into weeks as Del Campo wants to spend Christmas with the Fields. As they spend more time together; Sam, Kathleen, and Zooey all learn more about family and learning to love again. Why it’s Great: I love this film sooooo much. It’s one of my all-time favorite Christmas movies. I will not go to far into it, as I have written a separate blog post on it that you should check out. In Rise of the Guardians, Jack Frost (played by Chris Pine), is created in the depths of a pond and suffers from amnesia. He doesn’t know how or why he was created, but just goes around having fun. One day Santa Claus (Alec Baldwin) discovers that the Boogeyman Pitch, has returned and notifies the other Guardians: Tooth Fairy (Isla Fisher), Australian Easter Bunny (Hugh Jackman) and the Sandman. They learn that their creator, the Man in the Moon, has chosen Jack Frost to join them as a Guardian of Children. Pitch goes about trying to destroy the children’s beliefs in these characters, and attacks the Tooth Fairy’s home, stealing her helpers. The other Guardians pitch in to help her out, doing the same for the Easter Bunny. Will they be able to defeat the Pitch? Will Jack finally learn who he is and why he was chosen? Will they secure the children’s belief in Jack Frost, Santa Clause, the Tooth Fairy, the Easter Bunny, and the Sandman? Why it’s Great: When the film first came out, I thought it would be really dumb, but then I saw it and loved it. It is funny, cute, sweet, everything you’d want in a family film. 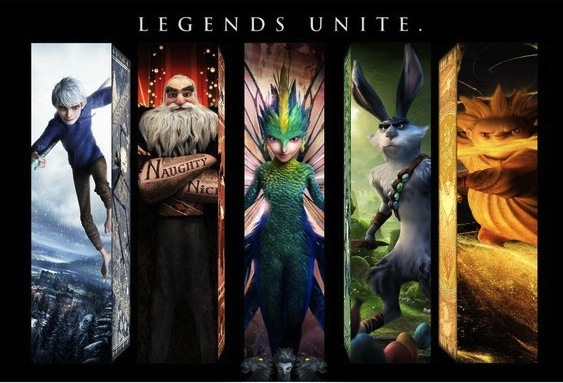 The characters are amazing and just perfect as they bring your childhood to life. I just love this film and could watch it over and over. It tells the story of the Robinson family, (they are Swiss), who are traveling to New Guniea but end up getting stuck in a storm, abandoned, and stranded on their broken ship. They pack up every bit of supplies they can and travel to the nearest place, a little island. The family consists of the father, mother, and three boys; Fritz (my fav the cute one), Ernst (the smart one), and Francis (the baby). The family creates a tree house and lives on the island going through many adventures; dealing with wild animals, saving a young teen, fighting pirates, etc. 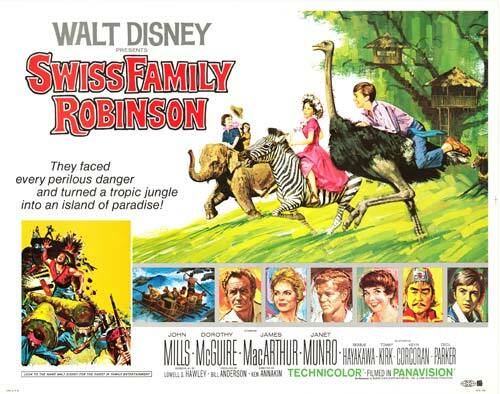 Why it’s Great: This was a favorite of mine as a kid, although more beloved by my sister than me. It has everything you could want: action, adventure, pirates, etc. Plus, like Supernatural, you have your pick of which brother to chose from. Do you like a brawny man of action? Or are you more interested in a thinker and planner? And let’s not forget their amazing treehouse. I wanted one like it so bad growing up. It used to be in Disneyland, but they replaced it with Tarzan. And yes, this film does have Christmas in it. The Robinson family has sent out Ernst and Fritz to explore the island, and are sad that they won’t all be together for Christmas. The boys surprise them with a zebra for Francis, and a rescued hostage. It is classic Disney at its best, and a worthwhile checkout any time of the year. Howard Langston (Arnold Schwarzenegger) is a workaholic. His wife and child are very upset with him, and the only way he can get back in their good graces is to pick up a Turbo-Man doll. Only problem is, EVERYONE wants one and EVERYONE is sold out. This causes him to go on one crazy adventure involving a faux toy factory, a postal postman, a mall doing a Hunger Games to sell off their remaining doll, battling a reindeer, storming a radio station, bombs, fistfights, etc. Howard even goes as far as replacing Turbo-Man in the Christmas parade in order to try to get a doll. Will he be able to do it? Will his family be reunited for Christmas? Why it’s Great: This movie is so freakin’ hilarious. I just love it so much. All the crazy things that happen to Howard as he tries to achieve success in his quest to get the doll. And that end fight scene is just great. A true holiday classic that I watch every year I can. Scott Calvin (Tim Allen) is a self-absorbed and selfish toy designer. This Christmas Eve he gets to have his son spend the holiday with him, while his ex-wife and her husband celebrate elsewhere. Of course he is not only extremely late (too much partying at the office), but he burns their Christmas Eve dinner. Things are not going as planned. That night Charlie hears something, and the two go out to investigate, surprising Santa and causing him to fall off the roof! Scott puts on the suit, and the two go out to deliver the gifts. After the deed is done, Scott discovers that when he put on the suit he entered a clause, that is a decree, making him the new Santa. He doesn’t believe it, but as the year passes, his body starts to become more Santa-like. Will he have enough faith to become Santa? Will he be able to change his ways so he can be more like Santa? Why it’s Great: Like Borrowed Hearts I have done a post on this, so I’m not going to talk too much aout it. It is a truly hilarious movie with some truly memorable lines and scenes. I love this movie so much that I don’t even always wait for Christmas to watch it. Defintely worth seeing again and again. Based on the John Grisham novel, Christmas with the Kranks shows how one can never truly skip Christmas. After Luther (Tim Allen) and Nora Krank (Jamie Lee Curtis) discover that their beloved daughter Blair won’t be coming home for Christmas, they decide to forget it entirely. No decorations, no Christmas cards, no Christmas party, no Christmas tree, zip. Instead, the two will go on a lovely cruise. It starts out a great plan, until they start getting upsetting calls from the neighbors who want to win the best decorated street contest; tickets from policemen who are used to them buying multiple calendars, charities who expect their yearly donation, etc. As they are getting ready to go on Christmas Eve, they get a call from Blair who is surprising them by flying home-with a fiancé. They have to rely on their neighbors for help in making this the greatest Christmas ever. Why it’s Great: I just realized that this is the third Tim Allen movie on this list. Guess it was a good thing I decided to save Toy Story for another time, or else there would be four. Anyways this is just a hilarious film, from beginning to end. Grisham is a true master and the actors really bring his work to life. This is a truly great addition to you Christmas lineup as it is funny, heartwarming, and covers the true meaning of Christmas. 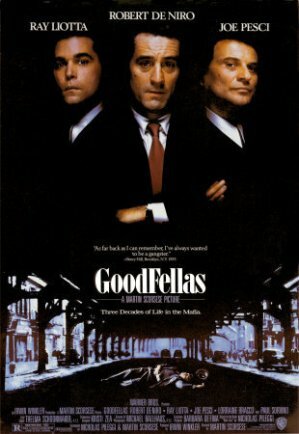 A film based on the real life of gangster turned FBI witness, Henry Hill. Half-Italian, half-Irish; Henry Hill (Ray Liotta) has always wanted to be a gangster. He is taken under the wing of mob-boss Paul “Paulie” Cicero, to work under James “Jimmy the Gent” Conway (Robert De Niro) alongside Tommy DeVito (Joe Pesci). The trio hijack cars, commit insurance fraud, and the famous 1967 Air France Robbery. They spend most of their time at the Copacabana, hanging out with women. Hill meets Karen, Jewish and upper class, and the two eventually marry. At first Karen is alarmed at Hill’s lifestyle, but eventually becomes enamored with the perks. They continue to live the criminal lifestyle, ultimately having to serve a stint in prison. There Hill discovers how “real” money can be made in drugs, and his life starts to take some real twists and turns. Why it’s Great: Now this film isn’t for everyone, but if you are a fan of the gangster genre then you need to check this out. It covers the life of Hill pretty accurately, and of course the actors they chose are just amazing-De Niro, Liotta, & Pesci. In fact if this wasn’t a Christmas list countdown, I probably would have it even higher. And for the Christmas part of the film, well this is no Christmas film but the holiday does play into a crucial part of the film. My friends and I used to have “gangster film and spaghetti” parties, with this one always being one of the main courses. Kevin McCallister’s whole family is getting ready to fly to Paris for Christmas, spending the holidays with his uncle and aunt. The night before they leave, Kevin is punished (unfairly) to sleep up in the attic by himself, where he makes a wish that his family would just disappear. When a tree limb crashes on the powerline, the McCallister’s find themselves waking up late and rushing out the door to the airport, in order to catch their plane. And…completely forgetting Kevin. 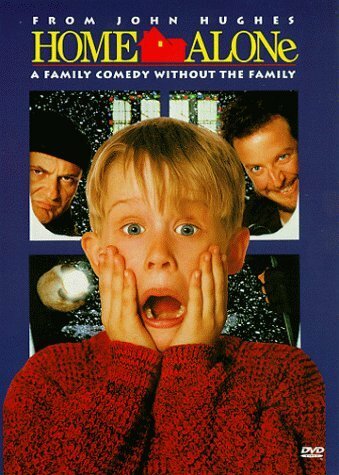 At first being home alone is just fun and games, but when two robbers try to get into his house, Kevin finds himself defending it, in very imaginative ways. Why it’s Great: This movie became so popular, almost every family pic after it tried to recreate it’s success. It is funny, memorable, and the scenes where Kevin is just wolfing down junk food was every kid’s dream. It is one fantastic movie, great for Christmas or anytime you want a laugh. In Santa Claus is Comin’ to Town, postman Special Delivery Klugman (Fred Astaire) is prepared to answer all questions about Santa Claus. In Sombertown, the Burgermeister Meisterburger discovers a baby on his doorstep, with a tag saying Claus. He sends one of his stooges to take the baby to the orphanage, but a wind blows the baby away. The forest creatures take the baby to the elf family Kringle, where he is raised as one of their own, Kris Kringle. The Kringles used to be toymakers for the King, but an evil man, the Winter Warlock, keeps them from continuing this tradition. Kris resolves that when he is old enough, he will brave the forest and Warlock, in order to give their toys to the children in the nearby town. He manages to slip the Warlock and heads to the town. Unbeknownst to Kris, toys are outlawed in Sombertown. He meets the school teacher, Jessica, and convinces them all to take toys. Kris almost gets arrested, but runs away, only to be captured by the Winter Warlock. When he gives the Warlock a gift, it melts his icy heart and removes his evil. Winter Warlock teaches Kris a few tricks, like magic snowballs that allow you to watch anyone. Kris keeps coming back and giving more toys, first handing them out to kids, then leaving them at night, lastly putting them in the children’s stockings. The Burgermeister Meisterburger lays a trap and catches Kris. In order to free him, Jessica gets the Winter Warlock to give reindeer his flying corn, and thus Kris’ eight flying reindeer were born. Jessica and Kris get married and move to the North Pole, Kris reverting to his given name of Claus. Why it’s Great: This film is absolutely adorable and Christmas is never the same without at least one viewing of this film. 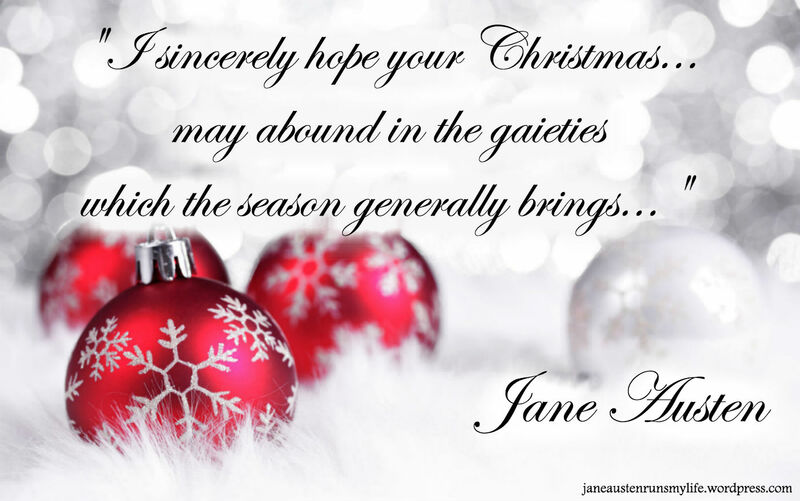 This entry was posted in Christmas, Disney, Non-Austen Movies, Pride and Prejudice, Quizzes, Quotable Quotes and tagged 12 Posts of Christmas, 1967 Air France Robbery, 25 Days 'Til Christmas, 25 Days of Christmas, 25 Films of Christmas, A Christmas Carol, abc family, Abominable Snow Monster, Alec Baldwin, Amnesia, Andrea Roth, Batman, Batman Returns, believing, Bill Murray, Bob the Tomato, Boogeyman, Boris Karloff, Borrowed Hearts, Brawn, Bruce Wayne, Buddy, Bureau of Yuletide Affairs, Burgermeister Meisterburger, Buzz Saw Louie, Can't Believe It's Christmas!, Cary Grant, Catwoman, Charles Dickens, Chasing Christmas, Christmas, Christmas Every Day, Christmas Past, Christmas Present, Christmas With the Kranks, Christopher Robin, Christopher Walken, Cindy Lou Who, Classic Disney Film, Cocker Spaniel, Copacabana, Cruise, Danny DeVito, Dentist, Disney Film, Disneyland, DNA, DNA Test, Dog Pound, Donner, Dr. Seuss' How the Grinch Stole Christmas, Easter Bunny, Eeyore, Elf, Elf (2003), Elves, Ernst, Evil Dictator, Faith, Film based on a book, Film based on a Real Person, Film based on a Song, Film Based on a True Story, Florida, focused on her goals, Francis, Fred Astaire, Fritz, Fruits, Gangster, gangster film and spaghetti parties, Gangster Genre, Goodfellas, Gotham, Grandpa George, Groundhog's Day, Grump, Happy Anniversary, Heart of Gold, Heat Miser, Henry Hill, Here Comes Santa Claus, Hermy, Hobo, Holiday (1938), Home Alone, Home Alone 2: Lost in New York, How the Grinch Stole Christmas (1966), Howard Langston, Hugh Jackman, Hundred Acre Woods, I Believe in Santa Claus, I'll Have a Blue Christmas, Insurance Fraud, Isla Fisher, Island of Misfit Toys, Jack Cameron, Jack Frost, James "Jimmy the Gent" Conway, James Caan, Jamie Lee Curtis, Jane Austen, Jane Austen Quotes, Javier Del Campo, Jim Carrey, Jimmy the Gent, Jingle All the Way, Joe Pesci, John Grisham, Johnny Case, Joker, Julia Seton, Junior the Asparagus, Katherine Hepburn, Kathleen, Kevin McCallister, Kris Kringel, Kris Kringle, Lady and the Tramp, Larry the Cucumber, leading, Leslie Jordan, Linda Seton, Luther Krank, Man in the Moon, Man of Action, Max Shreck, Michael Keaton, Michelle Pfeiffer, Miser Brothers' Song, Misfit, Misfits, Mistletoe, Modern Remake, Modern Twist on a Classic, Morally ambiguous, Morals, Mr. Sandman, Mrs. Claus, New York, Nora Krank, North Pole, Nuns, Oh Santa!, Oswald Cobblepot, Parody, Paul "Paulie" Cicero, Penguins, Piglet, Pitch, Planner, Pride & Prejudice, Priest, Principal, Principal Carol Newman, Quest, Rabbit, Ray Liotta, Red Triangle Circus Gang, Remake, Rich Girl Meets Poor Boy, Robert De Niro, Robo-Santa, Rudolph, Rudolph the Red-Nosed Reindeer, Sam Field, Santa Claus, Santa Claus is Comin' to Town (1970), Scott Calvin, Scrooge, Secret Identity, Selina Kyle, Sequel, Shipwrecked, Shipwrecks, Siamese Cats, Snow Miser, Spanned Sequels, Supernatural, Swiss Family Robinson (1960), Tarzan (1999), The Bishop's Wife, The First Christmas: The Story of the First Christmas Snow, The First White Christmas: The Story of the First Christmas Snow, The Hunger Games, The Joker, The Penguin, The Plaza, The Polar Express, The Santa Clause, The Santa Clause 2, The Toy That Saved Christmas, The Year Without a Santa Claus, Thinker, Tigger, Tim Allen, Tim Curry, Tom Hanks, Tommy DeVito, Tooth Fairy, Toy Story, Train, True Meaning of Christmas, Tumbling, Turbo-Man, Veggies, Veggietales, vengeful, We Are Siamese, When Christmas Comes to Town, Where Are You Christmas?, White Christmas, Whos, Whoville, Will Ferrell, Winnie the Pooh, Winnie the Pooh and Christmas Too, Winter Warlock, Yukon Cornelius, Zebra, Zooey.